Two Handed Swords are also known as the Great sword and Zweihander. 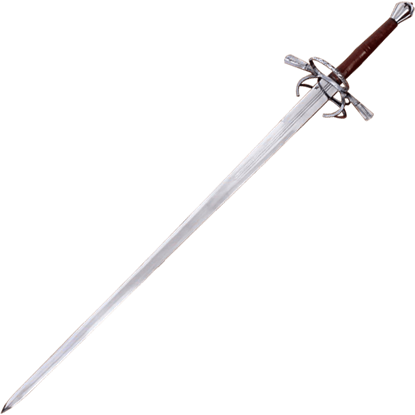 A two handed sword is a large sword that is up to about 6 feet in length and weight about 15to 20 pounds. 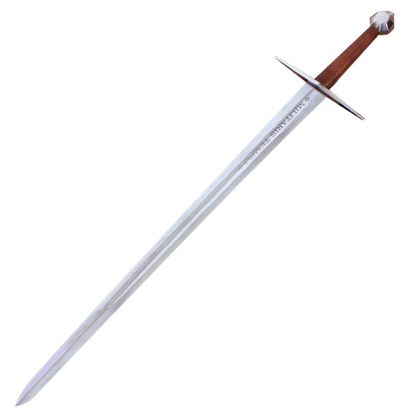 The sword was used from the middle of the 15 century to the late16 century. The name evolved because it took two hands to use the sword in battle. These swords were mainly used for swing rather than thrusting, to crush through heavy armour that was used. 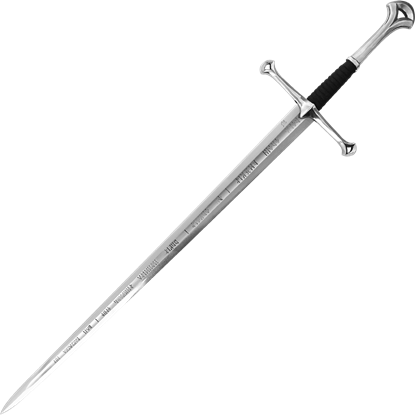 The two handed sword is a double edged sword with a round point. The hilt was straight or slightly curved quillons while the grip was very long. The pommel was either triangular, faceted or pear-shaped to balance the weapon. Around late 16 century heavy armour disappear because of firearms so the two-handed sword was only used for ceremonial purposes. 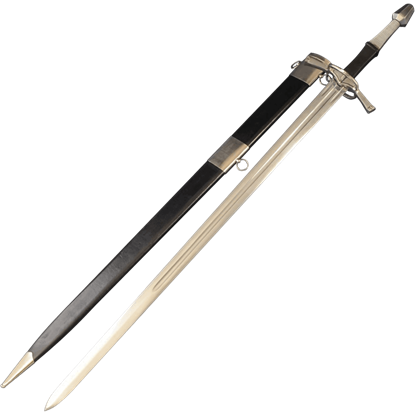 Our Two Handed swords can be used for display or for battle re-enactments, each reproduction is created to the specifications of the original. The dimensions and weight are accurate on every piece so you get a medieval weapon that is actually balanced and fun to hold instead of just pretty to look at. Medieval times were sometimes brutal, sometimes romantic, but always a source of intrigue. We invite you to share in the experience of an era past with our collection of Two Handed swords. 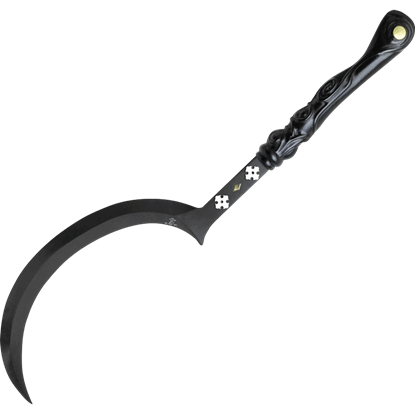 All our Two Handed Swords are expertly hand-crafted and authentic replicas! You can display them in your office, home or for Medieval Reenactments. The beauty and function of a blade like the 16th Century Two-Handed Sword with Scabbard and Belt is something to be truly appreciated. Any gentleman or warrior would be happy to carry this fine weapon at their side. 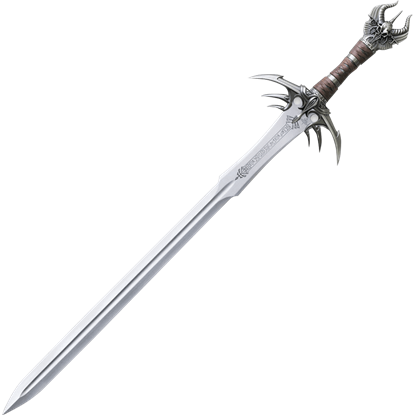 Forged from the shards of Isildurs legendary sword Narsil, the Flame of the West served Aragorn in his quest to defeat the Witch King. 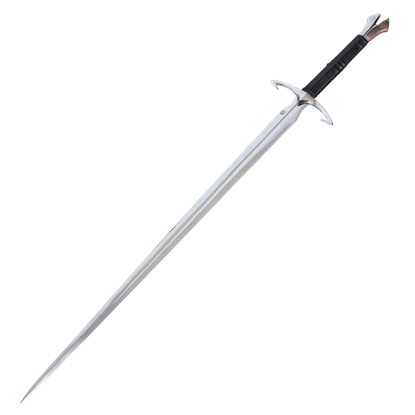 Now, you too can wield this powerful sword when you equip yourself with Anduril with Scabbard. In his quest to destroy Sauron, Aragorn came upon the shards of Narsil, the legendary sword of his ancestor Isildur. These shards were reforged into a new blade, one that has been stunningly recreated by the Anduril with Scabbard and Belt. Aesthetically pleasing is a great way to describe this sword, but do not think for a second that this sword is just a wall-hanger. 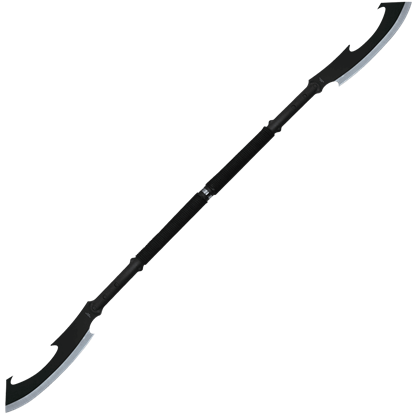 As nice as this Black Death Sword with Scabbard looks, it is also fully functional and battle-ready.